Its first makeover under new ownership sees Magix’s Mac editing package team up with some powerful partners. 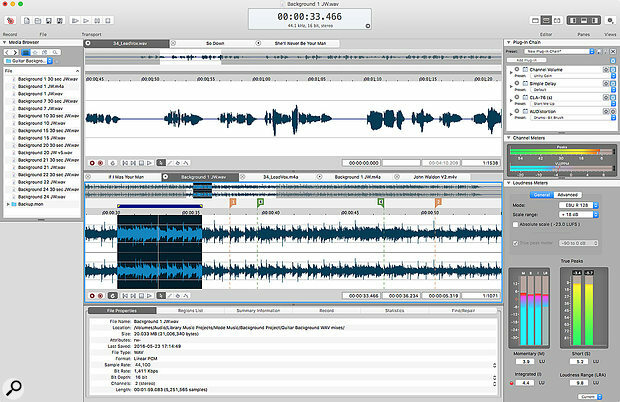 Originally developed by Sonic Foundry for Windows computers, Acid Pro, Vegas Video and Sound Forge are long-established platforms for music production, video editing and audio editing respectively. In 2003, Sony acquired the Sonic Foundry desktop product line and set up their Creative Software division; and over the next 13 years, the three programs enjoyed mixed fortunes. The most recent major update to Acid Pro was back in 2008; considering it was a pioneering piece of software in its time, and laid the ground for products such as Ableton Live, this is a considerable shame. Vegas fared somewhat better under Sony’s ownership, and not only did Sony release a major update to Sound Forge for Windows as recently as 2013, but they also launched an OS X version. Sound Forge Pro Mac 1, which I reviewed in SOS February 2013, was a somewhat tentative introduction to the platform, lacking many of the features of the more mature Windows version, but some of these were added in version 2 a year later. Sony’s foray into OS X raised hopes that they might attempt similar ports of Vegas and Acid Pro, but these hopes were not realised, and development activity seemed pretty thin from 2014 onwards. Then, in May 2016, the former Sonic Foundry product line, along with spectral editor SpectraLayers, underwent another change of ownership, with German company Magix, well known both for professional tools such as Samplitude and for their consumer-level music, audio and video software products, taking over. Such a change of ownership is always an anxious time for long-term fans, who want to ensure that manufacturers invest in continuing development rather than asset-stripping the software to embed the technology in their own products. So far, however, things are looking promising. Vegas underwent a well-received relaunch in a new version last year, and now Magix have unveiled their road map for the future of Sound Forge. A major new Windows version is promised for later this year, but the first update to reach the market is version 3 of Sound Forge Pro Mac. Sound Forge Pro Mac 3 is built around a single-window concept, but offers plenty of options for the user to customise the layout.By way of a reminder, it’s worth recapping what SFPM already offered, as that core functionality remains very much intact in Magix’s first update. We are, therefore, still getting a pretty sophisticated audio editor built around a slick and attractive user interface, which is split into four ‘panes’. Waveform displays are located top/centre, where multiple audio files can be arranged and displayed in various ways. Additional panels at either side and below the waveform display can be toggled on and off, and are used to display additional features such as meters, file browsers, plug-in chains, file properties and recording information. 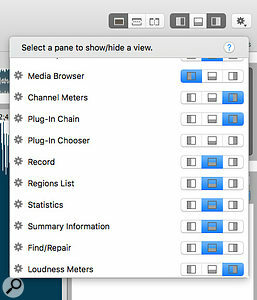 Plug-in windows float above this otherwise single-window interface. Hardware permitting, you can record audio files of up to 32 channels at resolutions up to 24-bit/192kHz, with options for defining markers and regions within a file. A full range of routine audio editing functions are included in both destructive and non-destructive editing modes. There is a range of built-in plug-ins, and 64-bit AU and VST plug-ins can be hosted as well. Users of SpectraLayers Pro also get the option to open a Sound Forge file for editing within that environment. The bottom line here is that, for the majority of routine audio editing tasks and CD production, SFPM, while still not quite duplicating the feature set of the Windows version, is a very elegant, powerful and easy-to-use platform. So what’s new? Well, there are some very useful and attractive new additions to the overall package but I think it’s fair to say that this update is evolutionary rather than revolutionary. Given the change of ownership, that’s perhaps understandable, but perhaps also sensible. As we will see in a minute, Magix have made worthwhile improvements without reinventing the Sound Forge wheel. When it comes to the core SFPM feature set, ‘useful but modest’ is a good way to summarise the improvements in version 3. For example, there are some new — if somewhat basic — own-brand audio plug-ins, including reverb, delay, noise gate and modulation effects. These would be useful if SFPM3 is your first foray into audio work on your Mac but, otherwise, I suspect most users will already have plug-ins that cover these sorts of routine tasks and that perhaps offer more sophisticated options. The new Loudness Meters will be welcomed by those preparing audio for broadcast or streaming.Perhaps more interesting to the professional audio editor are the new Loudness Meters (the standard Channel Meters displays are retained) and the Automatic Loudness Levelling feature. 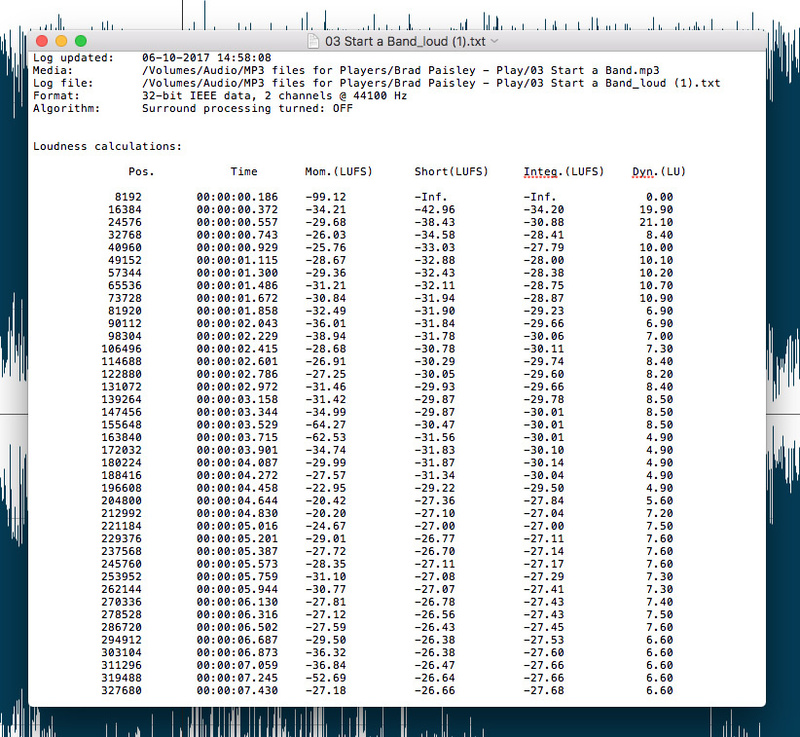 These should help those looking to create audio masters that are compliant with AES-EBU loudness standards. The Loudness Meter panel can be added to any of the three additional panes, and its meters show momentary loudness based upon a 400ms window, short-term loudness with a 3 second window, integrated loudness across all channels, and the ‘loudness range’, which is a useful gauge of how dynamic a recording or mix will be perceived to be. There is also true-peak metering, which will detect inter-sample peaks that don’t show up on a conventional digital peak meter but can cause clipping when the signal is reconstructed. 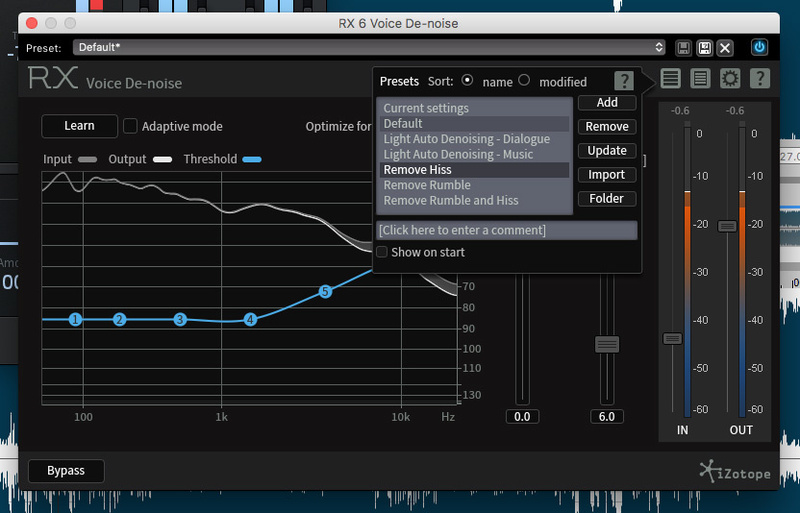 The Loudness Meter options include support for mono, stereo and, via the Advanced tab, surround-sound formats. You can also switch between EBU R128 (for Europe) and ATSC A85 (for North America) using the Mode drop-down menu. In addition, you get a choice between +18 and +9 dB scale ranges as well as selecting different meter resolutions to meter lower-level signals by setting the base of the meters between -12 and -138 dB to suit your specific audio material. If you need to demonstrate loudness compliance, the new Loudness Log feature allows you to do so for any audio file.The new Loudness Levelling function, available from the Tools menu, analyses the selected audio file and adjusts its loudness to conform to the standards chosen using the Mode selector. If your client requires it, the Tools menu also offers the option to generate a Loudness Log for an audio file, which summarises its various loudness properties. This text file can then be used to document the file’s compliance. The Plug-In Chain panel lets you apply a unique series of plug-ins to any open audio file, and SFPM3 seemed happy to work with a range of third-party plug-ins as well as its own built-in ones.On a similar front, SFPM3’s Tools menu now also includes options for iTunes auditioning so you can emulate what your mastered-for-iTunes audio will sound like once subjected to Apple’s encoding process. The process creates an M4A-format audio file so you can do A/B listening tests and fine-tune your own mastering-style processing to best suit the format. Oh, and if you are a video editor who needs a dedicated audio editor for fine-tuning your audio content, SFPM3 can now extract audio from a range of video file formats including XAVC, XDCAM and AVCHD. You simply drag and drop a video file onto SFPM3, and the audio will be automatically extracted and displayed in the waveform view. There’s no video preview window but the audio can, of course, be exported and dropped back into your usual video editing environment. I had no problems with this process when I loaded a few test clips and then returned the audio back to either iMovie or Final Cut Pro on my iMac test system. The lower pane of the UI now offers a Find/Repair tab, which can be used to detect audio clipping in the selected audio file and will place markers at any problematic points. There is also the option for automatic repair, but, as described in the ‘Ozone & RX’ box, SFPM3 also adds other audio repair options that are perhaps more comprehensive. In the past, I used Sound Forge extensively for audio editing under Windows. These days, I am mainly a Mac user, and I’m pleased to see that SFPM3 retains the crisp and clear user interface and fairly intuitive workflow that have always been strengths of the application. 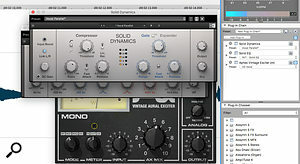 By fine-tuning and expanding the options for real-time application of plug-ins in this update, Magix have certainly improved the user experience; in particular, those coming from a music production/DAW background will find that per-file plug-in chains feel like a more familiar concept than the effects ‘preview’ options found in earlier editions of Sound Forge. With one exception when Sound Forge booted me back to the Desktop, my time spent with the latest release was also a pretty smooth experience and I had no particular difficulties using a range of third-party plug-ins from Waves, Steinberg, Native Instruments, iZotope and Toontrack. You could argue that Magix have adopted something of a holding pattern for the core SFPM software with version 3. However, those additions that have been made, and in particular the new metering/loudness options and improved ways of working with plug-ins, are very welcome. Magix have also added considerable value by partnering with iZotope, and Ozone Elements and RX Elements bring very useful audio editing, repair and mastering options to the bundle without Magix themselves having to reinvent the SF wheel. Given that buying the two Elements versions separately would account for most of the purchase price, including them in Sound Forge makes it a pretty attractive package. Users of earlier versions who upgrade get an even better deal, effectively acquiring the two iZotope products as well as the new Sound Forge features for not much more than the full retail price of one of them. Some five years after its initial release, Sound Forge Pro Mac is finally getting to be a seriously good OS X-based audio editing environment that can appeal to the novice, the serious ‘project’ producer and reach up to the audio professional. The new ownership has certainly taken SFPM forwards with version 3. Here’s hoping that the Sound Forge future continues to be bright. Sound Forge Pro Mac 3 is unlikely to draw in too many existing Wavelab Pro 9 users but Steinberg’s weighty, feature-rich package comes with an equally weighty price tag. Perhaps a more obvious competitor for the more budget-conscious is provided by Wavelab Elements 9. At €99$100, the broad feature set is similar, but it does not offer the spectral editing that RX6 Elements brings to SFPM3. Potential purchasers will therefore need to dig into the detailed specification of both packages in order to see which provides the best fit for their own needs. While all of these core additions to Sound Forge Pro Mac described in the main text are both welcome and effective, perhaps the most exciting new features stem from deals Magix have done with iZotope, which see both Ozone 7 Elements and RX6 Elements with SFPM3. Purchased separately, both of these are priced at £99$129 and, as these are ‘proper’ versions of both products with their own serial numbers, they also provide upgrade paths via your iZotope account should you wish to move up the Ozone or RX food chain. 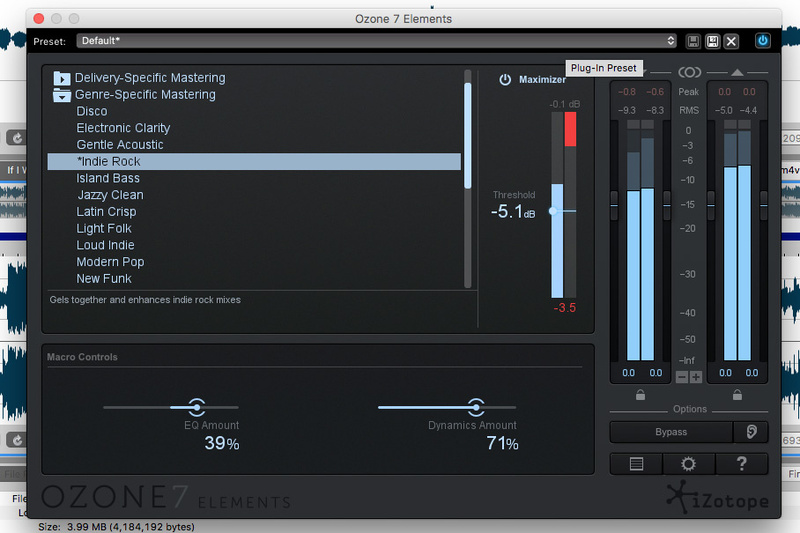 iZotope’s Ozone 7 Elements provides an easy-to-use mastering option within SFPM3. I use the full version of Ozone 7 on a regular basis, and although Elements offers limited control in comparison, it still sounds rather good. In essence, what is supplied here is an impressive collection of mastering presets where the user can fine-tune up to three parameters related to EQ, dynamics and the maximiser’s threshold, with more complex processing going on under the hood. As an easy-to-use mastering plug-in, it is perhaps going to appeal most to those who want results quickly and without the complexity of the full-fat version. There is little to go wrong and you can easily add punch and level to your track with just a few mouse clicks. RX6 Elements is perhaps the more intriguing inclusion. This adds four dedicated audio repair plug-ins to the Find/Repair option mentioned above. De-Clip and De-Click cover similar duties to the default processing, but in what is perhaps a more controllable fashion. De-Hum can be used to remove things like mains hum, while Voice De-Noise is designed to reduce background noise in vocal or dialogue recording. Of course, nobody really wants to record audio that needs a salvage job to make it usable, but there are contexts, particularly in live or location recording, where that’s a fact of life — and, having fed this combination of plug-ins something deliberately messy, I was able to improve things considerably. Yes, if you push too hard, then the artifacts of processing become as problematic as the original noise, but it’s pretty easy to move things gently in the right direction providing you accept that things are more likely to get ‘better’ than ‘perfect’. As this is a full copy of RX6, you also get to use it as an application in its own right — and, while the Elements version only provides a limited feature set, it provides an impressive introduction to the power that spectral editing can offer. Editing options include time-based selection, frequency-based selection, lasso and brush tools, a magic wand and the option to add harmonics to a selection. Zooming in and out of the spectral display is easy and you can also blend the standard waveform display with the spectral display, making it easier to understand the relationship between your Sound Forge waveform and the spectral details. The intriguing bit here is that Magix have chosen to bundle a product that overlaps considerably in terms of functionality with their own spectral editor SpectraLayers. Indeed, if you happen to have a version of SpectraLayers installed (I had access to version 3, the last release under Sony ownership), SFPM3’s Tools menu includes options for opening your audio file within SpectraLayers Pro, and you can toggle files back and forth between the two editing environments. I’m not quite sure of the logic or underlying plan behind offering your customers an introduction to the direct competition here, nor what we might read into it in terms of any future development of SpectraLayers. However, as Magix have already released their first update to SpectraLayers Pro — version 4 appeared earlier this year — one can only presume they are comfortable with the arrangement. The program’s elegant user interface and workflow has been retained and enhanced. Refined plug-in support is very welcome. Good value, if Ozone Elements and RX Elements are useful to you. It’s not clear what the integration with RX means for Magix’s own spectral editing package, SpectraLayers. Magix’s first update to Sound Forge Pro Mac under their ownership is a good, if somewhat evolutionary, step forward. The OS X version retains its polish but now has a feature set to interest potential users at all levels. £249; upgrades from £124. Prices include VAT. Magix USA +1 305 722 5810. Sound Forge Pro Mac 3.0.0 (build 97). Apple iMac with 3.5GHz Intel Core i7 CPU and 32GB RAM, running Mac OS 10.12.2; Soundcraft Signature 12MTK.